Welcome to Hale Flora. Central location with city view. Fully remodeled kitchen. Newer appliances and flooring. Corner unit with privacy. Bright and airy with lots of cross breeze. Pet friendly building. VA approved. Washer/dryer in unit with one parking. Special assessment for plumbing update will be paid off by Seller at closing. Motivated seller. relocating. Please, send me more information on this property: MLS# 201904161 – $435,000 – 1634 Makiki Street Unit 506, Honolulu, HI 96822. 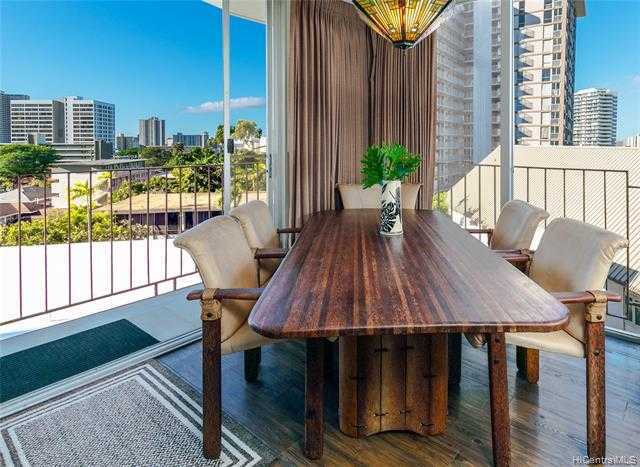 I would like to schedule a private showing for this property: MLS# 201904161 – $435,000 – 1634 Makiki Street Unit 506, Honolulu, HI 96822.